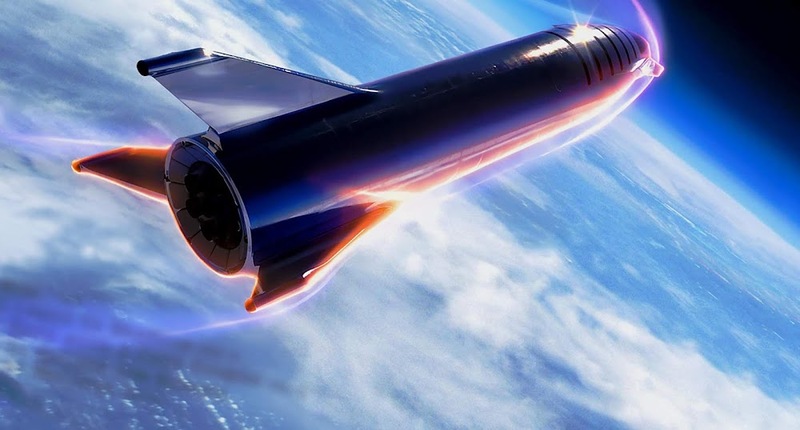 On the cover of Popular Mechanic’s April 2019 issue there is the first official HQ render of SpaceX's stainless steel Starship, showing the next-generation spaceship reentering Earth’s atmosphere in a blaze of glowing metal and plasma. The image was obtained by Teslarati. A few days ago during a visit to Doyle Ryder Elementary school in Flint, Michigan, Elon Musk teased a video showing the Starship landing at Mars Base Alpha.